Happy Friday, Dolls! I know I say it every week but I am so happy to see the weekend upon us. I'm looking forward to relaxing, catching up on some reading and maybe a little shopping since the forecast is calling for rain all day tomorrow. I'd gladly sport this outfit anytime I'm traveling! What about you? 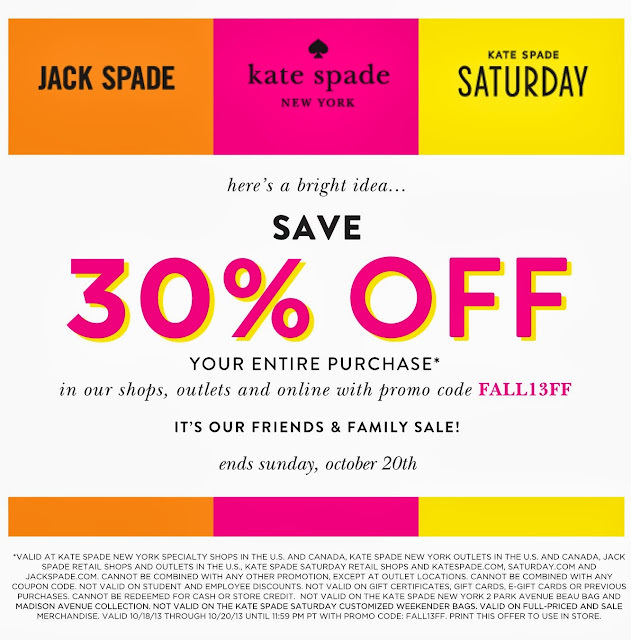 Friends and Family sale at Kate Spade Lenox. Hello 30% off! You are so great to share this!